When I stopped into Wake Robin Farm this morning I found the Jersey cows out to pasture and Megan Schader darting about the store with the speed and precision of a hummingbird. I asked if she was getting ready for the Regional Market. “Always,” she replied without hesitation. 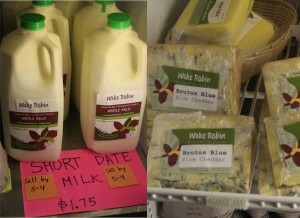 She ushered me into the creamery were we talked while she busily labeled and crated Wake Robin milk. 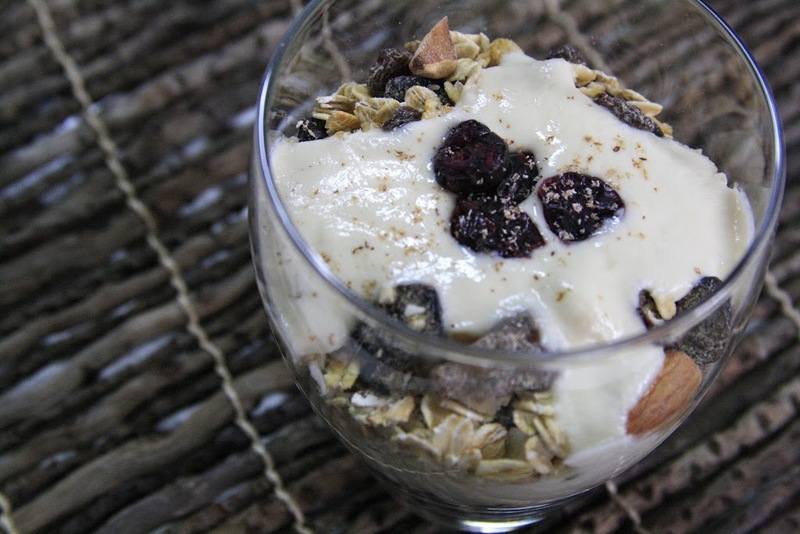 What I wanted to discuss was the yogurt – my favorite on the planet – and find out why they pulled it from a major area grocery store chain last year. As anyone who knows her might expect, Meg was open and direct. Sometimes when you buy local it isn’t just because buying local is a good thing; sometimes you buy local because the product is, literally, the best on planet Earth, and even if it wasn’t the cool thing to do you’d still go out of your way to get it. That is the case with Elderberry Pond’s basil; it’s the case with the truffles at Lune Chocolat. 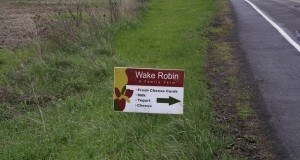 And it’s the case with Wake Robin Farms yogurt. I’m a yogurt person. I used to be loyal to a national brand you’d recognize, oblivious to the high fructose corn syrup, artificial flavor and coloring it mostly was (go ahead, check your own fridge). One taste of Wake Robin yogurt and I dumped it like a bad habit. It’s not just that WRF’s yogurt contains just a few simple ingredients, or that you get to see the happy, healthy cows responsible for it grazing in the pasture when you buy it, or that the people who make it are committed to quality and love what they do; what hooks you and keeps you coming back is the gorgeous flavor. Creamy. Buttery. Delicious. I’m glad the Schader’s decided to continue their dairy farming endeavors rather than pursue a career in truck driving. 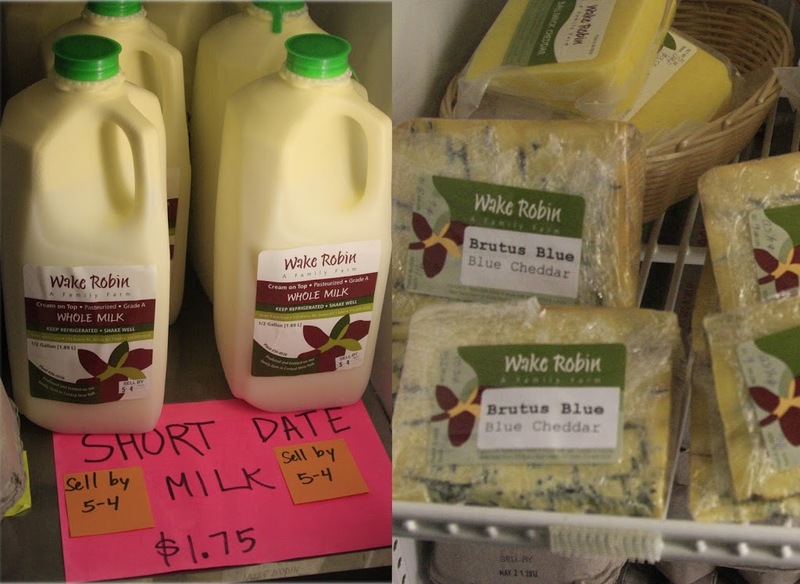 Their yogurt is of the gods and you can get it for yourself in these four places: the Wake Robin Farm Store on Brutus Road in Jordan, the Skaneateles Bakery, the CNY Regional Market, and the Syracuse Real Food Co-op. If you visit the Farm you can pick up some Wake Robin milk, their award winning artisan cheese and a variety of other regionally produced foods. And if you’re lucky you might also get to see the cows. The color you see is natural; not a drop of bronzer needed on these Jerseys. The Husband enjoys Wake Robin Farm plain yogurt for his savory dishes; The Girl likes Wake Robin Farm vanilla yogurt for her smoothies; I prefer Wake Robin maple syrup yogurt to top off my morning granola, pictured here with Mu Mu Muesli cereal, sold in the Wake Robin Farm Store, topped with dried fruit and nutmeg. I’ve been thinking about making homemade butter with some that that cream!